Serbian based metal band DOT THE EYE was formed by Mike Steel (Guitar) and Miloš Popović Shomie (Vocal). In early 2007 the band was originally started as a Pantera and Metallica cover band called "Revolution". Although the band went through a lot of member changes, they have been playing a lot of live shows and keeping really busy but the guys realized they wanted more out of the music they were playing and decided that it was time to start writing their own original music. In May of 2012, DOT THE EYE has just signed with "Burned By God Records" an independent record label from Philadelphia, Pa. in the USA. 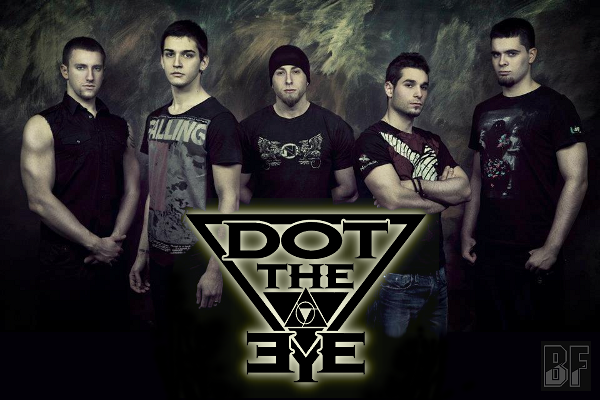 DOT THE EYE's musical style is a power-house metal with the genre sounds of Pantera, Disturbed and Creed. Keep your eyes and ears open. You can download their free promotional track "Unpleasant Past" directly from their ReverbNation page. Man killer stuff! Great riffs and grooves..still banging my head! !